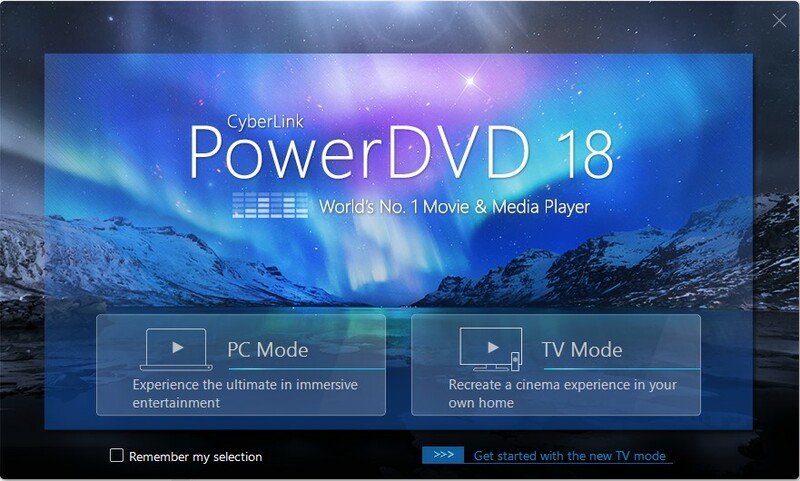 PowerDVD18 plays more than just DVD and Blu-ray discs. For video, audio, photos, VR 360 content and even YouTube or Vimeo, PowerDVD18 is your essential entertainment companion. Unlock the potential of your Ultra HD HDR TV and surround sound system, immerse yourself in virtual worlds with access to ever growing collections of 360 videos, or simply unwind wherever you are with unrivaled playback support and unique enhancements on your PC or laptop. PowerDVD is optimized for playback on the latest Ultra HD 4K & HDR TVs. Whether you're watching the latest Ultra HD Blu-ray discs, classics from your DVD collection, or the latest online entertainment from YouTube & Vimeo, using PowerDVD ensures you'll have the sharpest, clearest audio-visual quality. PowerDVD brings the latest in high-resolution video technology right into your living room to ensure you can enjoy the ultimate in Ultra HD 4K home entertainment. Ultra HD Blu-ray is as good as home cinema gets! CyberLink's unique TrueTheater audio-visual enhancement technology improves the quality of even Blu-ray and hi-def video, and the difference it makes to watching movies on your big screen TV has to be seen to be believed. Watch your favorite Hollywood classics on ultra-widescreen TVs without any letterboxing or black bars. That means if your TV has an aspect ratio of 21:9 (2.35:1) PowerDVD will intelligently adjust playback of your discs to fit your screen. Online Entertainment Just Got Even Better! The future of online video is already here with YouTube 4K and HDR video. With PowerDVD you can actually enjoy online content the way it was meant to be enjoyed, in the highest possible quality on your big-screen Ultra HD 4K HDR TV. CyberLink YouCam 5 - The Only Webcam Software You'll Ever Need! ChiliBurner is the best way to save and share your home video and audio masterpieces on CD or DVD. Turn AVI, MOV, MPEG, WMV files into DVDs. Create stylish animated DVD-menus. Edit your video before burning. Create audio discs with your soundtracks.